Globalisation is the trend since the last two decades, also in the medical research and drug development areas. 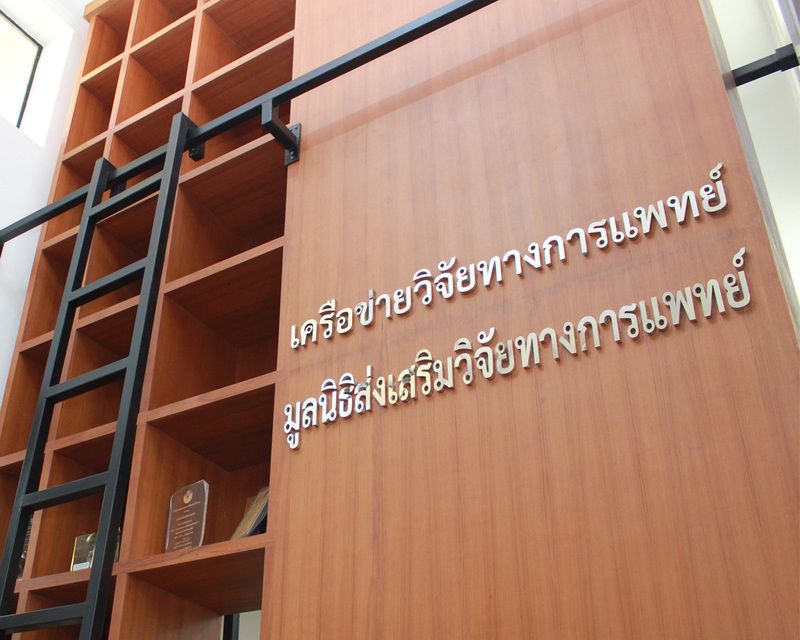 In order to catch up with the changes, in 2000 The Consortium of Thai Medical Schools consisted of all medical schools in Thailand started the initiative of network called ‘The Consortium of the Thai Medical schools Multicentre Collaborative Research Coordination Network (CRCN) leaded by Prof. Pyatat Tasanavivat, MD. The initiative was supported by the Institute of Health System Research to improve the existing system, The Alliance and research Coordination Network for Evidence-based Health System Reform in Thailand. Later the initiative received the grant from Rocky Fellers Foundation to set up the infrastructure for the network collaboration. The initiative was among 10 projected granted from total of 542 projects in 83 countries. The awarded was received from Her Royal Highness Princess Chagrisirindhorn on 10th October 2000 during the International Conference on Health Research for Development held in Bangkok. The Medical Research Foundation, MRF was registered on 27th June 2008 to serve as the legal body for CRCN for contract process with granting agency, coordinating with local and international institutes. Professor Thada Yip-insoi was the first chairman of the Foundation.